Jonathan Williams, perhaps best known for driving a works Ferrari on his one and only GP start in Mexico in 1967, passed away in Spain on Sunday at the age of 71. A true gentleman, and a gentle man, he will be much missed by his friends. Born in Cairo in 1942 – his parents ran a school there – Jonathan’s passion for racing was fired by a trip to Silverstone in 1951. He began racing in 1961 with a Mini, and on one famous afternoon crashed at Mallory Park. He was sitting on the bank watching when another driver, who happened to share his surname, crashed nearby. Thus Jonathan and Frank Williams met for the first time, and later through Jonathan Frank met two men who would play a big role in his life, Piers Courage and Sheridan Thynne. In 1963 Jonathan travelled Europe with a Formula Junior Merlyn, with Frank serving as his mechanic. Alas a big crash in Monaco, where he injured his leg and received a bang on the head, proved to be a major setback. 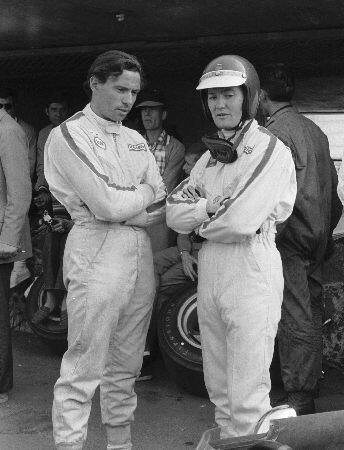 In 1964 he teamed up with Courage to run in the new F3 category, and the pair both bought Lotus 22s. Using the Anglo-Swiss Racing name in an attempt to impress continental race organisers, they raced all over Europe before funding ran out. Help was at hand however, and for 1965 friend Charles Lucas – who had recently come into some money – set up his own team, employing Jonathan, Piers and Peter Gethin. Jonathan always loved Italy, and for 1966 he accepted an offer to join the works de Sanctis team. He was the star of the cut-and-thrust world of Italian F3 that year, which caught the attention of Ferrari. He was duly signed up for 1967 and spent the year racing for the Scuderia in sportscars, CanAm and F2. It was a turbulent season for the team that saw Lorenzo Bandini die at Monaco, and Jonathan’s close friend Mike Parkes injured at Spa. During a gap between CanAm races he was told to travel to Mexico City. After minimal practice he was given his first and only F1 start in the chassis rejected by number one driver Chris Amon, in which he finished eighth. A subsequent testing crash at Modena brought his Ferrari career to an end. In 1968 Jonathan raced for various F2 teams, winning the Monza Lottery for Frank Williams, who by now had become an entrant in his own right. Mexico aside, Jonathan’s other claim to fame came in 1970 when he became involved in the making of Steve McQueen’s Le Mans, driving the Porsche 908 camera car in the race itself, as well as taking part in the months of filming that followed. The death of his closest friend Courage at that year’s Dutch GP was a heart wrenching blow for Jonathan, and the following year his racing career fizzled out. Having learned to fly he spent some time as a private pilot for wealthy businessmen before dropping out and spending many years travelling around the coast of France, Spain and Portugal in a small motorhome. In recent years he had settled at a base in Spain, keeping himself occupied by writing magazine articles about racing history, but his plan was always to buy another motorhome and set off again on his travels. Sadly it was not to be. I first met Jonathan in 1998 when I started writing a book about Piers Courage, and we stayed in touch thereafter. I visited him regularly when I travelled to Jerez for winter F1 testing, and we spent a family holiday with him last summer. This time last year he stayed with me en route to the Zandvoort historic event, where a memorial to Piers was unveiled. That was a rare trip as he was never fond of crowds, or the hassles associated with airports. However he had agreed to attend the upcoming Italian GP in company with a historic racer whose Ferrari sportscar he had demonstrated at a revival event. A couple of weeks ago Jonathan emailed me to say he wouldn’t be able to make Monza on health grounds – and with typical thoughtfulness asked if I could catch up with his friend and show him around. Quietly spoken, and forever modest about his own achievements as a driver, he was a very special man, and much loved by his loyal friends. At Jonathan’s own request donations can be made to the hospice where he spent his final days, http://www.cudeca.org/. The world is poorer for his loss. Mr Ganley himself, I presume! 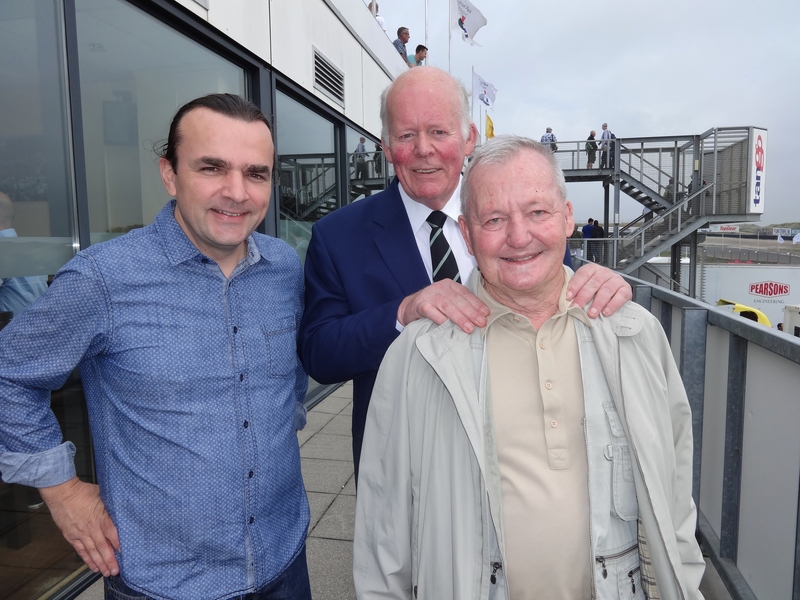 Awfull news…I liked his stories he wrote about his time with Frank Williams and others! Jonathan’s cremation was at his local village of Manilva on 4th September & was attended by John Fitzpatrick, who lives nearby in Sotogrande & knew J from the start. They met up now & then. He had been asked to represent the BRDC. Justin, Jonathan’s nephew, & he gave a little speech which was really moving. The music was great & not a dry eye in the place. Then we went to Frankie’s (his favorite local bar in Sabinillas). They were magic & they put on a lovely spread. I gave them a photo of young Jonathan which they’ll frame & put on their wall, they’ll also have a plaque on J’s chair in the corner. He was no doubt looking down with a big smile.